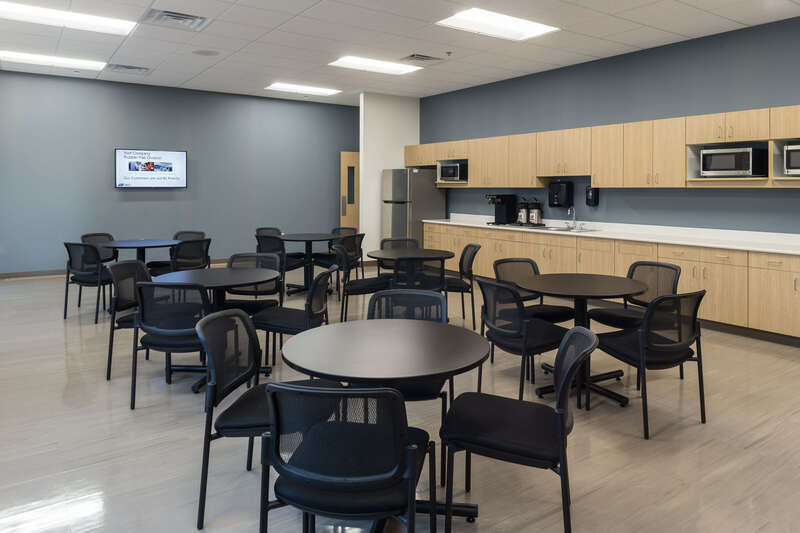 Mohagen Hansen Architecture | Interiors was selected to provide site planning, exterior building design and interior build out of a 45,000 sq. ft. manufacturing facility with office and warehouse space. 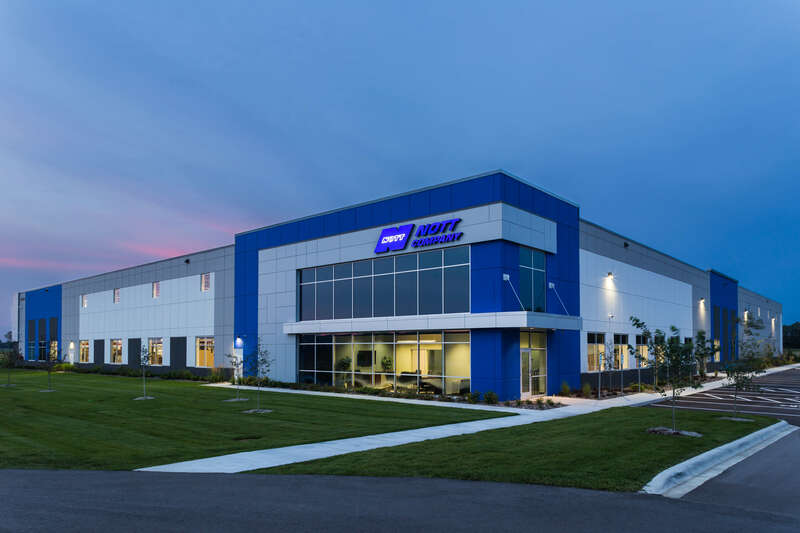 Located in Brooklyn Park, MN, the new facility for Nott Company includes 5,800 sq. ft. of office space, 28,000 sq. 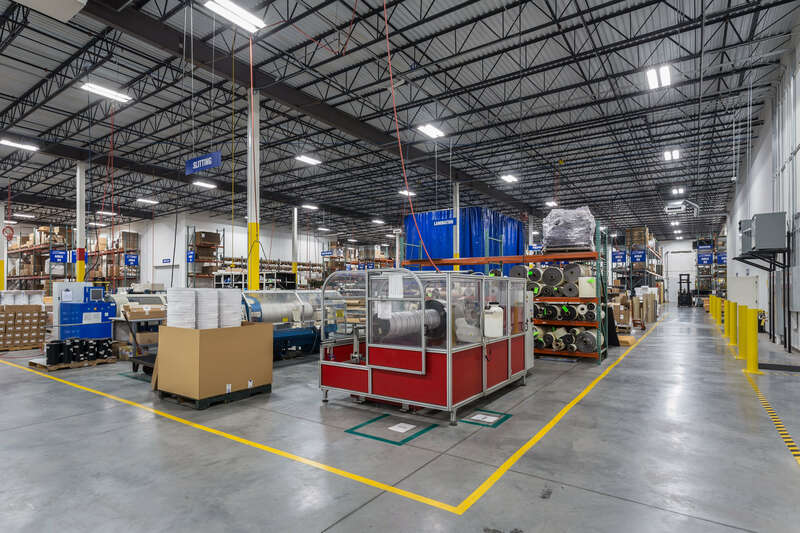 ft. of manufacturing space and 11,000 sq. ft. of warehouse/storage space. 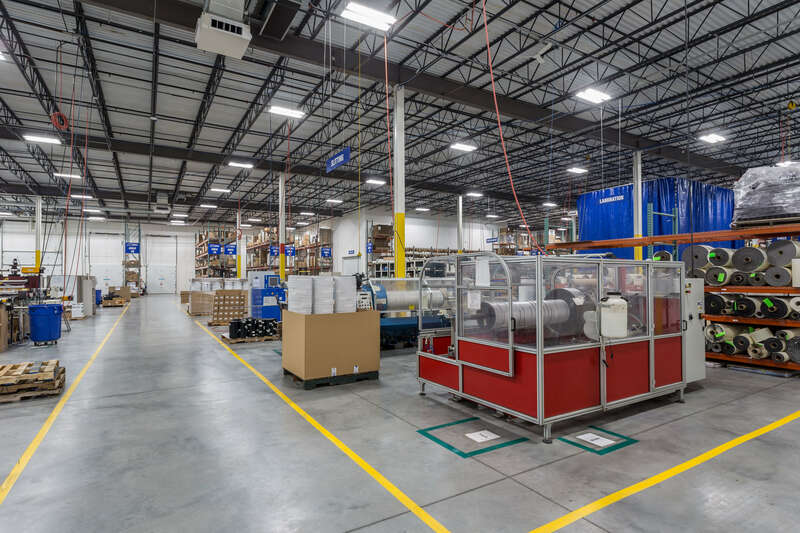 The manufacturing area was organized to suit the operations at Nott with emphasis on the flow of materials through the space from manufacturing to shipping. 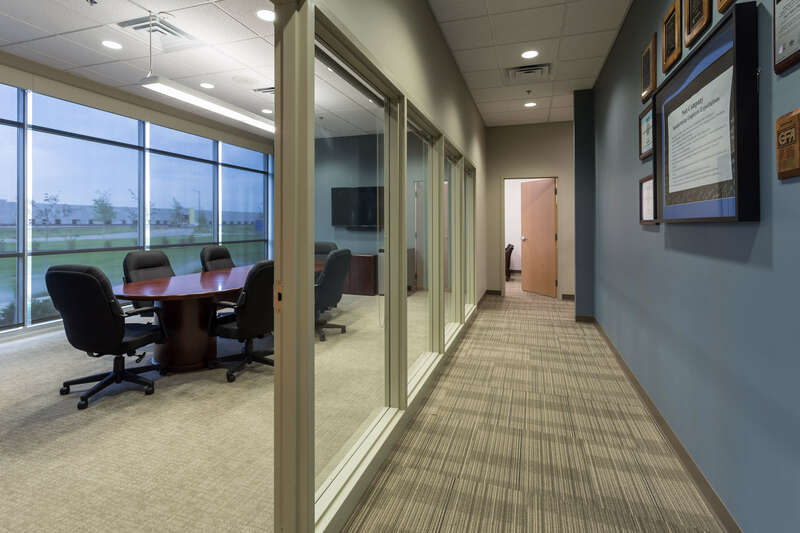 The private offices for management line the manufacturing area and have access doors to the open office space and manufacturing space to efficiently respond to needs in either area. 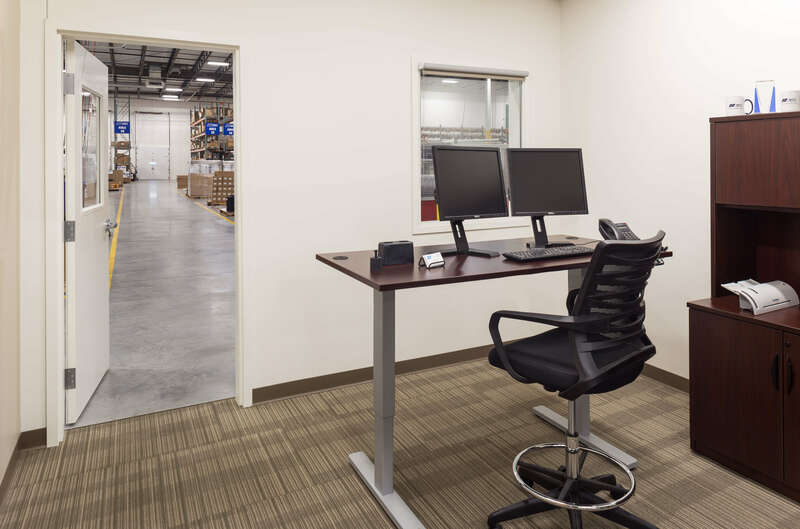 Sit to stand work surfaces allow employees to work in a way that is comfortable to them. 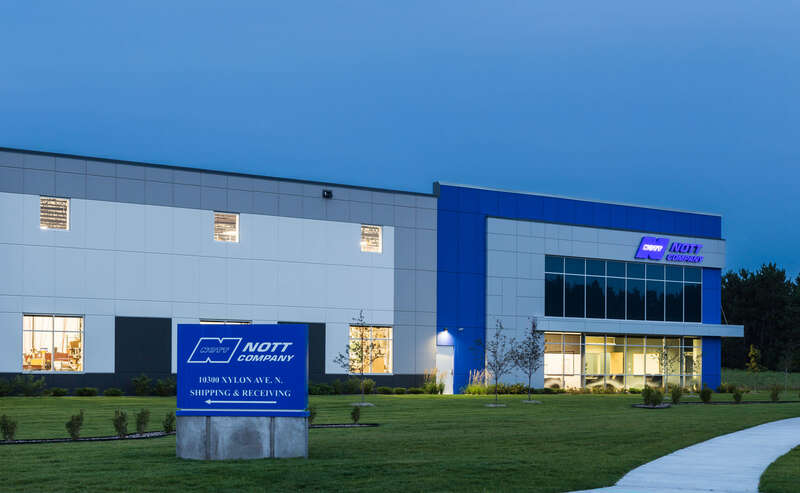 Founded in 1879, Nott Company is a leading supplier of fluid power products and systems, industrial products and custom rubber fabrication that serve customers throughout North America and around the world.